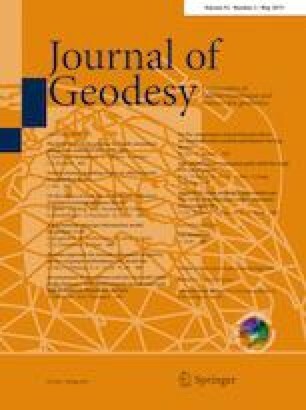 The authors would like to acknowledge the MGEX, GA, CNES, GFZ and CODE for providing access to the real-time multi-GNSS data streams, real-time SSR satellite orbit corrections for multi-GNSS (CLK93), post-processed satellite orbit, clock and intra-frequency DCB products. Many kind helps from Dr. Denis Laurichesse are highly appreciated. Funding supports from China Natural Science Funds (Nos. 41804037 and 41674022) and National key Research Program of China “Collaborative Precision Positioning Project” (No. 2016YFB0501900) are also gratefully acknowledged. The second author is supported by the CAS Pioneer Hundred Talents Program. The third author acknowledges LU JIAXI International team program supported by the K.C. Wong Education Foundation and CAS.